If you want to play epic titles such as Assassin's Creed Origins, Middle-Earth: Shadow of War, Dragon Ball FighterZ in 4K and at their peak graphics potential with zero latency, or you’re just about ready to delve into the world of virtual reality, a gaming PC is what you should buy. Whether you desire the sheer horsepower of an Nvidia graphics card or appreciate the true value of AMD, you will be spoilt for choice with the plethora of options available in the best gaming PC department. From big names such as Lenovo and Alienware to those you will grow to love fairly quickly such as iBUYPOWER and Skytech Gaming, we’ve tested several top notch gaming rigs, and bring you the lowdown on 8 best gaming PC’s that offer the best bang for your buck. Topping the charts is none other than the CYBERPOWERPC Gamer Xtreme gaming PC, and for several good reasons. Powered by a robust Intel Core i5-7400 3.0GHz processor mated with 8 gigs of RAM, the Gamer Xtreme desktop packs just the right amount of computing power to handle heavy applications and play titles such as Doom without any hiccups. In terms of graphics, it ranks well with an integrated AMD Radeon RX 580 4GB Video Card that offers brilliant full HD performance. The Gamer Xtreme gaming PC by CYBERPOWERPC is equipped with a one TB hard drive that sprints at 7200RPM. And if that’s not enough to store all your titles, you can easily connect SATA or PCIe SSDs with the M 2 slot. Just like most of the best gaming desktops, the Gamer Xtreme rig is fitted with a total of 7 USB port including 5-3.1 USB ports and an HDMI and DisplayPort, so you will never run out of connectivity options. That’s not all, the CYBERPOWERPC gaming PC also features a Gigabit RJ-45 port, and a wireless adapter that supports the latest Wi-Fi 802.11ac standard. Tipping the scales at a modest 28 pounds, it is loaded with premium components such as versatile motherboard and AMD graphics card, all tucked away neatly in the eye-catching RBG lit motherboard that provides even distribution of lighting throughout the case. 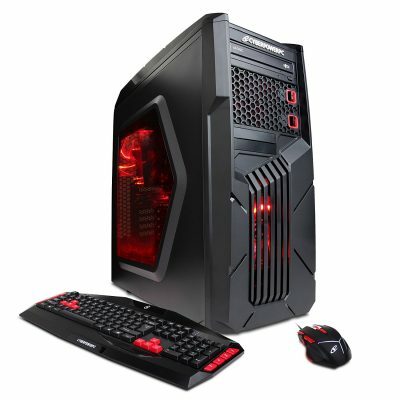 The CYBERPOWERPC fully assembled Gamer Xtreme gaming PC comes with a keyboard and mouse, so you can start your gaming adventures as soon as it arrives. Not included in the package is a display, but you can always opt for the combo version that includes a 24" Full HD (1920 x 1080) widescreen monitor backed by AMD FreeSync technology. 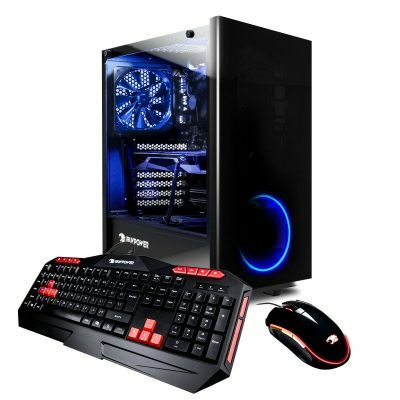 All these high quality components are backed by an impressive 1 year warranty on parts and labor and free lifetime tech support, so you can rest assured the CYBERPOWERPC gaming PC will provide you with several years of gaming pleasure. If you’re looking for a boutique-built gaming rig that is highly affordable and doesn’t disappoint in the performance department, the SkyTech ArchAngel GTX is worth exploring. This sweetly configured machine rings in with almost all the bells and whistles starting with an industry leading 3.5 GHz AMD FX-6300 processor. The SkyTech ArchAngel GTX showcases a Sci-Fi inspired design that screams gamer from every angle. It is fitted with a large number of connectivity ports and even an optical drive, a component that is rarely seen in gaming PC’s. There’s even a DL-DVI port in case you wish to hook up the desktop to multiple displays. In terms of storage space, the SkyTech ArchAngel GTX rings in with a behemoth 1TB SATA hard drive that sprints at 7,200rpm. 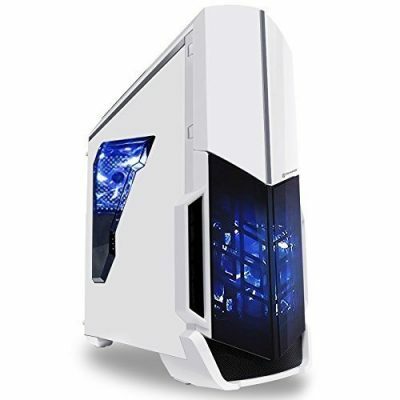 Furthermore, it renders top notch graphics owing to its embedded GTX 4GB GDDR5 graphics card, which allows you to play even graphics hungry games without any hiccups. 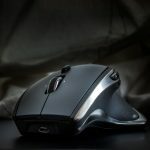 The package includes a keyboard and mouse, and is backed by 1 year warranty on parts and labor. One of the noteworthy features of the iBUYPOWER Ultra Gaming PC Desktop that makes it distinct from its competition remotely controlled RGB lighting and tempered glass panel. Its case itself will leave you in a state of awe owing to its appealing curves and lines. Under the hood, the iBUYPOWER gaming PC is equipped with a 4.2GHz Intel i7-7700K Quad-Core processor mated with an astounding 6 gigs of DDR3 RAM. The iBUYPOWER gaming PC is designed to deliver a blistering performance regardless of the game you’re playing thanks to its 8GB VIDIA GeForce GTX 1070 graphics card and 16 gigs of DDR4 RAM. It features plenty of connectivity ports including USB 3.1 and RJ-45 connector and the latest 802.11 Wi-Fi card. In terms of storage, this gaming computer leads the pack with a 1TB hard drive and 240GB SSD. They say that most PC’s that leave the HP stable turn to gold, and the HP Pavilion Premium Gaming Desktop is one such great example. 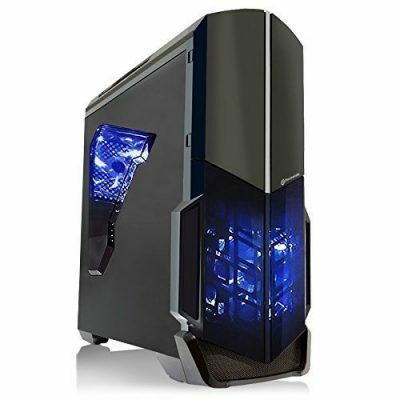 Even though it is a budget friendly model, this gaming desktop is fitted with top of the line components such as a Intel Core i5-7400 processor with turbo boost technology, NVIDIA GeForce GTX 1060 3GB graphics card, 8GB DDR4 RAM and a 1TB SATA hard drive. The HP Pavilion tower gaming desktop might look as fancy on the exterior as other models in its segment, but packs a whole lot of punch under its hood. Apart from its rock solid Intel i5 processor, it offers superior graphics quality via a Nvidia GTX 1060 3GB graphics card. 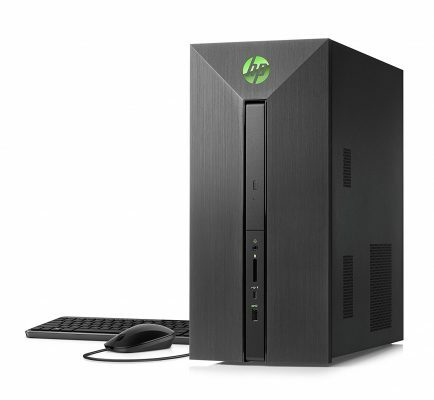 When it comes to connectivity, the HP Pavilion gaming PC features several USB ports and 1 HDMI port among others. It is powered by the latest Windows 10-64 bit OS, and comes with a keyboard and mouse, so you don’t have to buy them separately. If you’re looking to get your feet wet in the gaming arena, but do not want to spend an arm and leg on a gaming PC just yet, the HP Pavilion gaming PC is an excellent way to kick things off. 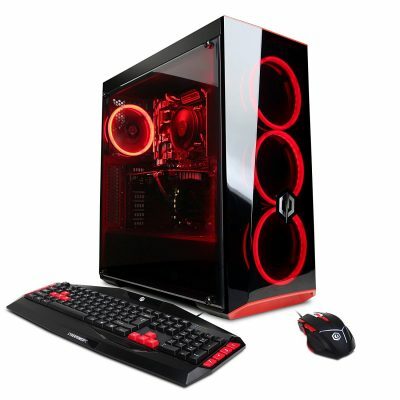 The CyberpowerPC Gamer Ultra prebuilt gaming rig arrives fully loaded with myriad class leading features such as a : AMD FX-6300 3.50GHZ six-core processor and 8 gigs of DDR3 RAM. Further, it features Windows 10 Home 64 bit OS and a large 1TB hard drive. Boasting a compact footprint at just 17 by 7.9 by 17.5 inches (HWD), the CyberpowerPC Gamer Ultra gaming desktop boasts an appealing design complete with front panel curves and LED lights on its panels. Connectivity features on this gaming PC are excellent to say the least and include eight USB 2.0 ports and RJ-45 for Ethernet connection. Although it doesn’t have a wireless network card, you do get DVI and HDMI ports to hook up several monitors and even a DVD burner. 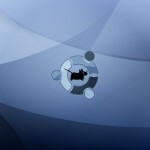 Adding to this, the package includes a mouse and keyboard, and is backed by a 1 year warranty to secure your investment. If you’re looking for a gaming desktop that provides great value for money without compromising on key features, the CyberpowerPC Gamer Ultra gaming desktop should be on your wishlist. 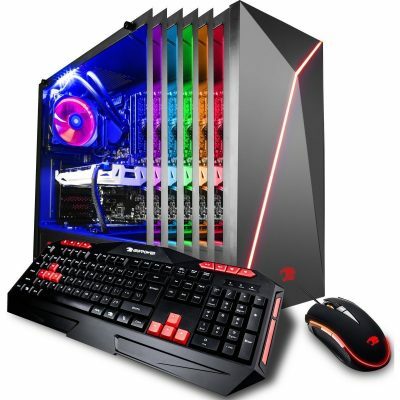 The iBUYPOWER Gaming Computer Desktop is truly in a world of its own with its industry leading Intel i7-7700 4-Core 3.6GHz processor, 8 gigs of DDR4 RAM and a 1 TB hard disk drive. This VR ready gaming rig features a 3GB NVIDIA Geforce GTX 1060 graphics card, and 16 color RGB lighting to keep you in game mode. The iBUYPOWER gaming rig can be hooked up to two monitors thanks to its several display connectors. Further, it features several USB ports to accommodate most of your peripherals. This desktop does not come with an optical drive memory card reader, but on a brighter note the package does include a wireless network adapter, gaming keyboard and mouse. This neat looking affordable gaming PC is a great choice for modern games and renders smooth frame rates, allowing you to play the titles in the best possible resolution. Dell has always been known to produce some of the best PC’s in the world, and the 5675 AMD desktop is just another great addition to its lineup. This gaming rig is equipped with a AMD Ryzen 5 1400 processor, and can be ordered in a choice of 3 different processors. It arrives loaded with 8GB DDR4 RAM and 4GB AMD Radeon RX 570 DDR5 graphics. 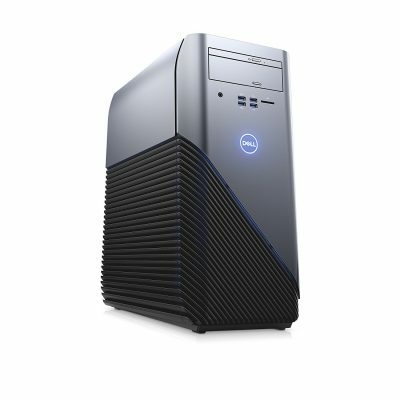 The Dell 5675 AMD desktop features a mid-tower form factor that looks pretty sleek to say the least owing to its gunmetal black finish and angled black vents. It is equipped with several connectivity ports including USB 3.0 and 2.0 ports and even an optical drive. Moving to the rear of the unit, you’ve got an I/O panel, Radeon RX 580 port, 7.1 channel audio output. For a gaming rig that won’t disappoint you in terms of quality and performance, the Dell 5675 AMD desktop is worthy of a second look. The SkyTech Shadow GTX 1050 Ti is a pocket friendly gaming rig that is fitted with an AMD FX-4300 3.80GHz quad-core processor, and a 1TB hard drive. In terms of graphics, this gaming PC features a 4GB TX 1050 Ti GDDR5 Graphics Card, which is good to handle memory intensive games without a fuss. Adding to this, the SkyTech Shadow GTX gaming desktop brings onboard 8 gigs of DDR3 RAM with heat spreader technology, and is powered by Windows 10 Professional 64 BIT. With regards to connectivity, the SkyTech Shadow GTX 1050 Ti desktop PC boasts an impressive total 9 USB ports—7 USB 2.0 and 2 USB 3.0 ports. It arrives Wi-Fi ready, so all you need to do it hook it up to your monitor and you’re all set to play the best games in the market. And to seal the deal, the SkyTech Shadow GTX 1050 Ti gaming PC is backed by a manufacturer 1 year warranty and you even get free lifetime technical support in case you run into any issues. 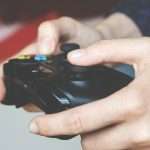 Gaming PC’s have come a long way since what they were 10 years ago, and today are more technologically advanced in order to cater to modern gaming titles. When on the shopping trail for the best gaming PC, you will be spoilt for choice given the vast number of options available. 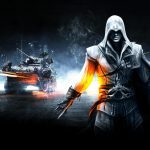 But here are a few factors to consider when looking for the best gaming desktop for your needs. If you’re going to be gaming in VR, you will need to pay a little close attention to the specs, since you will need a minimum of Nvidia GTX 960 or AMD equivalent to play this range of titles with ease. Other specs that are important for smooth VR gaming include 8 gigs of RAM, AMD FX4350 or Intel i5 processor, 1 HDMI port and at least 2 USB ports. Gaming desktops can had across a spectrum of sizes, and even though you aren’t going to carrying them around, some can be pretty bulky so ensure the one you’re looking at will fit neatly into the space it will be residing in. In terms of RAM, a minimum of 8GB is the norm for most modern gaming titles, and the higher the number, the easier it will be to achieve those higher frame rates. Computer games are generally large files, and if you’re gaming enthusiasts with several titles in your collection, you will need the right amount of space to store them. Look for gaming PC’s that are appointed with a minimum 500 GB hard drive, and again the bigger hard drive simply means you can store more without the need to buy an additional drive. Lastly, gaming desktops unlike traditional PC’s aren’t cheap, so consider the upgradability features of the respective PC such as if you can add more RAM and hard drives as the need arises in the future. 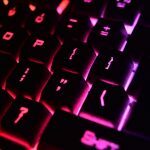 We’ve provided you with a gaming PC buying guide and 8 best gaming desktop options available, so that you can make the right decision for your needs.